Betsy Cohen is a retired lawyer with a lifelong interest in education issues. After leaving daily law practice, Betsy taught legal research and writing for seven years at St. John’s Law School in New York City. Since retiring altogether, Betsy volunteers as a Court Appointed Special Advocate representing children in foster care, and has served in various leadership roles with the PTA, where she received multiple Advocate of the Year awards at the local and district level. She has also worked as a community organizer with the League of Education Voters and currently is an occasional substitute teacher in her local school district. Betsy also serves in multiple leadership roles in her local temple. Betsy and her husband, Jeff, are the proud parents of two public school graduates: one currently serves in the Peace Corps in Ukraine, and the other attends the United States Military Academy at West Point. Jessica Garcia comes to the Commission from Tacoma. A graduate of Franklin Pierce H.S., she also studied Early Childhood Education at Pierce Community College. Her passion on education and it’s impact has been long standing. As a strong vocal advocate of school choice, she helped push passage of ESSB 6194: the New Charter School Act. Jessica has been a long time public school volunteer, community volunteer, also having once served as the first parent coordinator for Grey M.S. in Tacoma. She was also a founding parent and founding board member for Destiny Charter Middle School. Having once served on Destiny’s school advisory council. Understanding the importance of school choice, Jessica’s children have had the opportunity to utilize a variety of public school options, which best fit their needs. From general public, to online home based education, magnet schooling, and charter. Her advocacy work continues, as a member of the Center for Latino Leadership, a bipartisan organization that helps promote meaningful legislation and well-founded policies for the Latin community. Jessica also serves as president of the Pacific Northwest Herpetological Society, a group whose focus is herpetology education, rehabilitation, and re-homing of a variety of animals and reptiles. She resides in Tacoma, with Joel, her husband of 23 years, their two children: Alexjandro, a student at Tacoma Community College, Isadora, a student at S.A.M.I., Gus and Abbiejean, their loving dogs, their chickens, and a variety of reptiles… all family. Dan Grimm is Chief Operating Officer for Pierce County and former Director at Doughty Hanson & Co, a European private equity firm. A lifelong Puyallup resident, Grimm served six terms in the state House from 1977-1989, the last three as Chairman of the Ways and Means Committee. He also chaired the House Higher Education Committee as well as the Economic & Revenue Forecast Council and State Investment Board. Among his accomplishments are the Union Station restoration, the University of Washington Tacoma, the Washington State History Museum, Pierce College’s Puyallup campus, and the Puyallup tribal land claims settlement. A graduate of Columbia University, he also attended the University of Washington and Uppsala University in Sweden. Dan has one daughter, Whitney K Rose, and a grandson, Thiel K.
Kaaren Heikes is the Director of Policy and Partnerships for the Washington State Board of Education. She is the Board Chairperson Isabel Muñoz-Colón’s designee to the Commission. An Olympia-area native, Kaaren has recently returned after spending most of her educational leadership career to-date in Portland, OR. Kaaren’s roles span teaching, designing, founding/leading regional and state-level education initiatives, programs and nonprofit organizations—all supporting high-quality options within the public school system—and advocating in Oregon’s legislature for sound educational policies, particularly for historically underserved children. Kaaren was an instrumental leader in Oregon’s charter school arena (2004-2016). A passionate labor of love for the past five years, Kaaren served as one of four co-founders of KairosPDX, a leading nonprofit organization in North Portland dedicated to eradicating the racial opportunity and achievement gaps through serving children 0-10 and influencing the public school system through leadership, professional development, and policy advocacy. Kaaren continues serving on the KairosPDX Board. John and Kaaren live in Tumwater with their three school-aged daughters, two adopted through foster care. 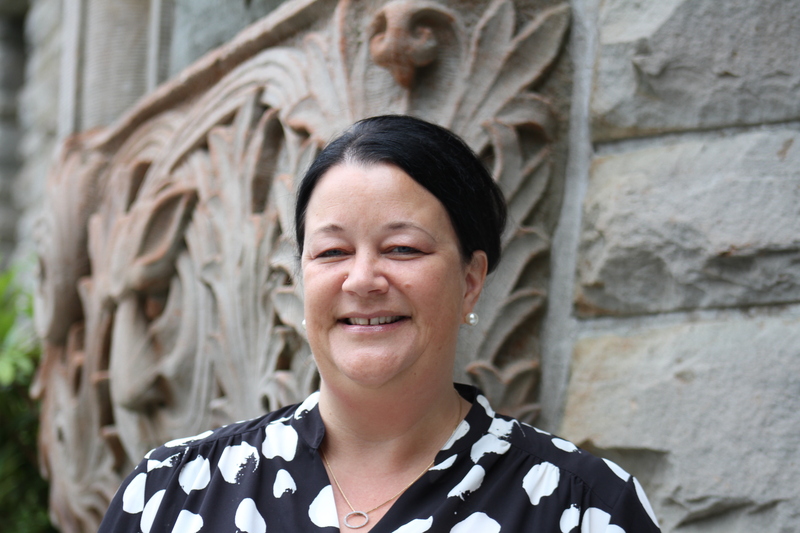 Kaaren has earned a Master’s degree in K-12 Policy and Administration (Portland State University), a Bachelor’s degree in English (Central Washington University), and certification in both in K-12 Administration and Secondary Teaching. Heather is experiencing a Home Coming of sorts. Heather grew up in Seattle and until recently has resided in New Orleans, Louisiana. After almost 15 years as an educator in Louisiana working to close the achievement and opportunity gap, Heather felt called to return home to address the greater opportunity and achievement gap that exists in the Seattle area. She is the Executive Director of Education for Technology Access Foundation (TAF) where she leads the Education team, charged with the implementation of TAF’s programs designed to address race-based disparities in our schools. She partners with districts, universities, administrators, teachers, STEM and industry professionals to ensure that our students have access to teachers who are representative of their race and cultures, unparalleled experiences, quality rigorous and engaging learning environments. Heather is an accomplished educator with a proven track record of improving underperforming schools in New Orleans, as a turnaround school leader following Hurricane Katrina. She has achieved this success both as a founding principal of charter schools and a co-principal in a traditional district, within an environment plagued by the challenges of an educational system in the process of being rebuilt. Her experience as a leader within a reform setting and her education results in a leader with a depth knowledge in the transformation process. Heather is a certified teacher, principal and district administrator. She has a BA from Lewis and Clark College, a MFA from Wayne State University, a MEd from Teachers College in New York, and is currently working on her EdD also at Teachers College. Heather lives in Seattle and has one daughter Kincaid, an emergent public school educator. 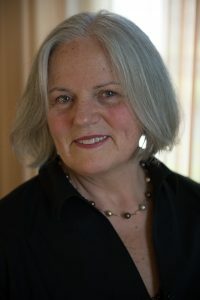 Kristina L. Mayer, Ed. D., is a specialist in the fields of philanthropy and education. She leads the KLMayer Consulting Group, helping leaders build organizational capacity and focus on results. In 2016, Dr. Mayer joined the faculty of the Nursing and Health Studies programs at UW Bothell part-time where she teaches both in the BSN and Health Studies programs. She also teaches leadership, management and fundraising in the Nonprofit Certificate Program at UW Tacoma. 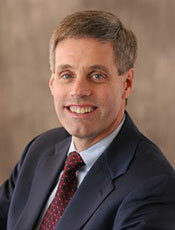 Dr. Mayer has degrees from Seattle University, Gonzaga University, and the Fielding Graduate Institute. She is also a member of the Seattle Leadership Tomorrow class of 2001. Prior to launching her consulting career, Kristina was a program officer for nearly a decade at both the Stuart Foundation and the Washington Mutual Foundation. Prior to that, she spent 20 years working in education as an advocate, teacher and principal. Dr. Mayer’s professional accomplishments include founding the Jefferson County Community Foundation, spearheading the Washington Initiative for National Board Certification, creating the Center for Strengthening the Teaching Profession, and co-creating the Nicaragua 2001 Foundation. In 2006, Governor Christine Gregoire appointed Dr. Mayer to the Washington State Board of Education where she has been a thought-leader on accountability, graduation requirements and English language learning. 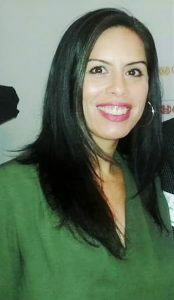 Kristina completed her term in 2015. Later in 2015, she served on the Washington State Transitional Bilingual Instructional Program proviso task force to make recommendations to the Legislature for service improvements for English language learners. 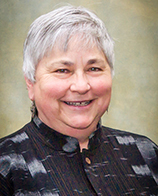 Since 2014, Dr. Mayer has served on the Port Townsend School District policy committee at the request of the Superintendent. Dr. Mayer is an active member of the Women’s Funding Alliance Board of Directors working to advance economic opportunity and leadership for women and girls. Kristina is also a charter member of the National Network of Consultants to Grantmakers and an emeritus member of the Philanthropy Northwest Board of Directors. 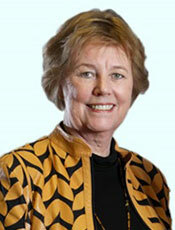 Margit E. McGuire is Director and Professor of Teacher Education at Seattle University and former president of the National Council for the Social Studies (NCSS) and a recipient of the Washington Award for Excellence in Teacher Preparation. She has presented nationally and internationally on topics related to social studies and teacher preparation. Her leadership positions have included the National Geographic Literacy Council, NAEP Civics Advisory Board, and chairperson of the Elementary Social Studies Framework for Washington’s Office of Superintendent of Public Instruction. Currently she serves as Washington State’s liaison for higher education for the national Teacher Performance Assessment (edTPA). She is the author of the Storypath Program and recently co-edited, the NCSS Bulletin, Making a Difference: Revitalizing Elementary Social Studies. 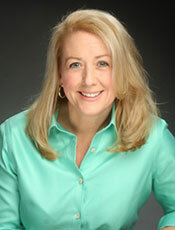 Gayle Pauley is currently the Assistant Superintendent of Special Programs and Federal Accountability at OSPI. She is responsible for leading many state and federal programs — including directing many of the Elementary and Secondary Education Act/Every Student Succeeds Act Title programs. She is a dedicated educator with experience as a teacher, district level administrator and state education employee. Throughout her years as an educator, she has worked to support schools and school districts in raising the academic achievement of students who face the challenges of poverty, second language acquisition, learning difficulties, and mobility. She is also one of the key leads at OSPI in the development of the Every Student Succeeds Act (ESSA) Consolidated Plan. Steve Sundquist is active in the business and civic life of the Pacific Northwest through his involvement in a number of local organizations. Most recently, he was an elected School Board Director on the Seattle School Board from 2007 to 2011. In that capacity he served one year as Board President and two years as Vice President. Per school board custom he also served as a board member of Seattle’s Alliance for Education in 2011. He is currently a member of the Our Schools Coalition in Seattle. Separately, he is serving on the boards of Climate Solutions, Conservation Northwest, and Seattle Northwest Securities Corporation; and is a member of downtown Seattle Rotary, Social Venture Partners, and Fauntleroy Church, UCC. Prior to his recent board work, Mr. Sundquist enjoyed a long career at the Russell Investment Group, where he led their IT function and National Accounts group among other responsibilities over a 22 year span ending in 2005. Mr. Sundquist earned an MBA from the University of Chicago, and a B.S. in Computer Science from Washington State University. Steve and his wife, Liann, live in Seattle and are the proud parents of two daughters. 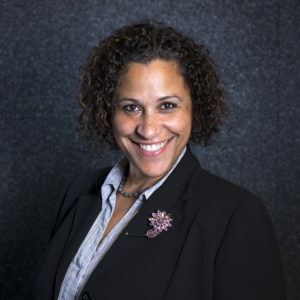 Cindi Williams serves as a Principal at HCM Strategists, a leading DC-based education and health public policy firm, where she provides communications and advocacy strategy for a portfolio of clients dedicated to improving student outcomes for low income students. Williams joined HCM several years ago having spent four years on the US leadership team at the Bill and Melinda Gates Foundation. Williams served as the Director for US Communications across its domestic portfolio and worked with grantees and partners across the country to create a national dialogue about the need for education reform. Prior to joining the Gates Foundation, Williams worked in a variety of policy and communications roles, serving as Senior Advisor to the U.S. Secretary of Education–where she focused on reauthorization of No Child Left Behind–along with serving as Deputy Assistant Secretary of Education for Communications and Outreach. In addition to her work at the Department of Education, Williams served as a Special Assistant in the White House Office of Public Liaison, where she led efforts related to women’s outreach, small business and education. In the aftermath of September 11, she also worked on behalf of the White House alongside the State Department and USAID to launch the US-Afghan Women’s Council, a public-private partnership created to meet the needs of women in Afghanistan. Williams has also held leadership roles in the U.S. House of Representatives and the American Red Cross. She has served on a number of volunteer boards including the US-Afghan Women’s Council, and Northwest Center Foundation Board, the STAND for Children Advisory Board and the Center for Reinventing Public Education (CRPE) Advisory Committee. She lives in Bellevue with her husband, Tony, and two boys, Jacob and Joshua.